Today the Kontinental Hockey League pauses to commemorate a tragic day in the history of hockey. 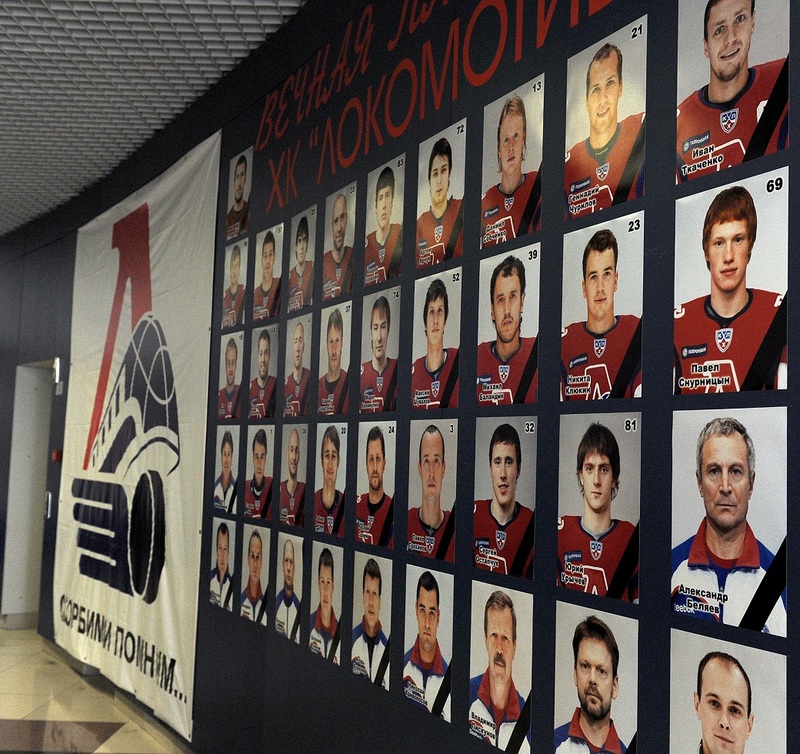 No games are played in the Championship on this date, as the 7th of September has been set aside as a day of remembrance for the Lokomotiv players, coaches and staff, and the airplane crew, who all perished when their airplane crashed shortly after taking off from Yaroslavl’s Tunoshna airport, exactly six years ago, on the opening day of the 2011-12 Championship. Airplane crew: Nadezhda Maksumova, Vladimir Matyushkin, Elena Sarmatova, Elena Shalina, Andrei Solomentsev, Igor Zhevelov, Sergei Zhuravlev.